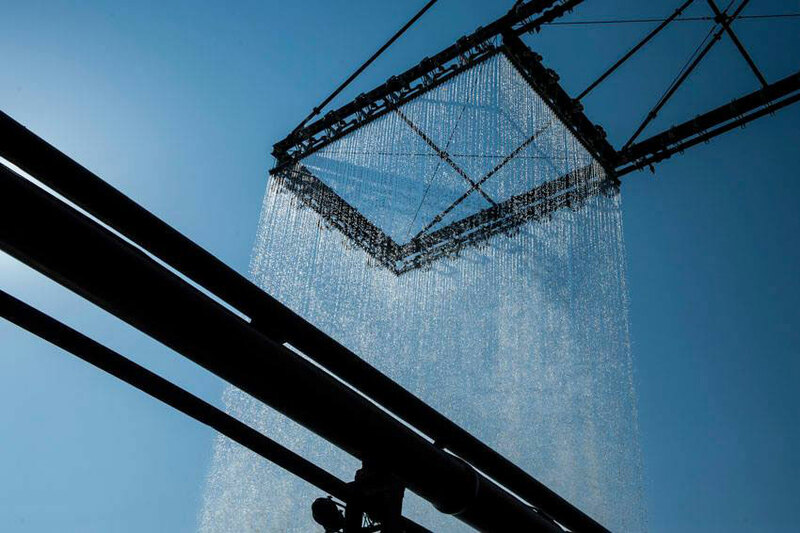 more than 30,000 liters of water per minute are cycled through the towering shower — ‘instant structure for schacht XII’ — by random international. 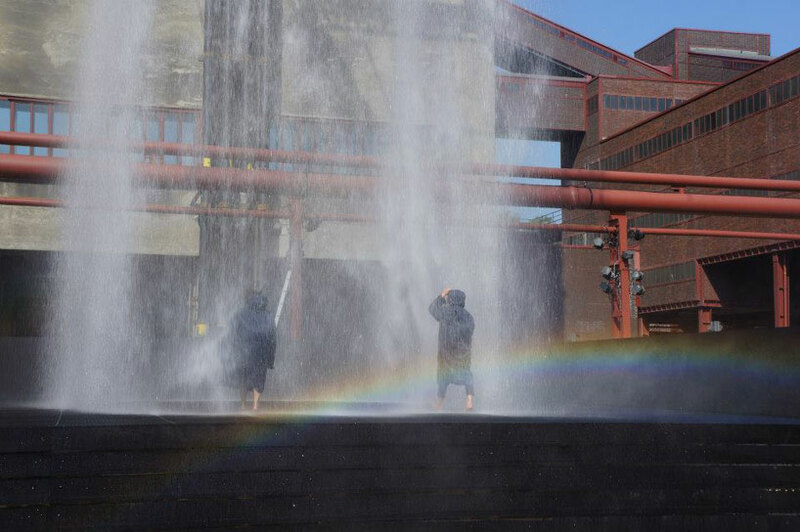 known for their experimental and interactive works, rAndom international have created a monumental, performative structure at the world heritage site of zollverein coal mine industrial complex in essen, germany harnessing its native material to fuel their ambitious venture. 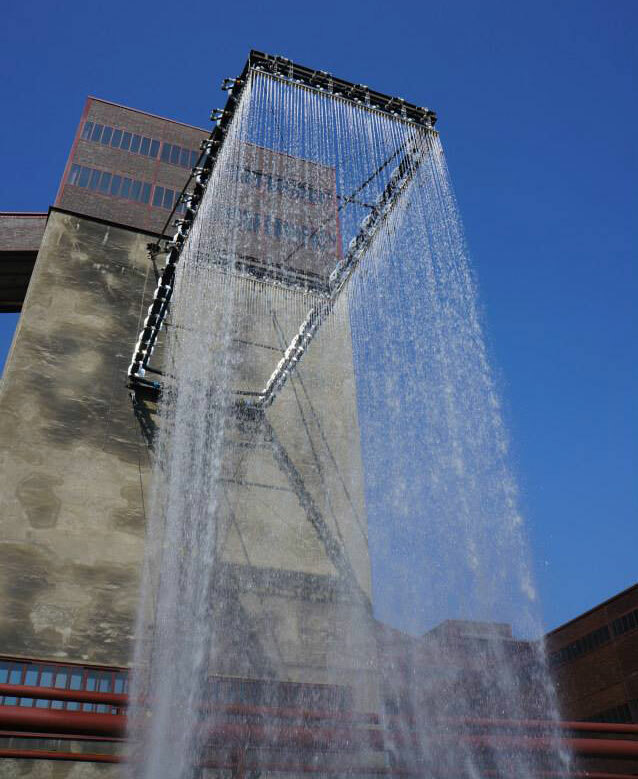 6 million cubic metres of which have to be pumped out of the former mines every year to warrant the structural integrity of the entire region. 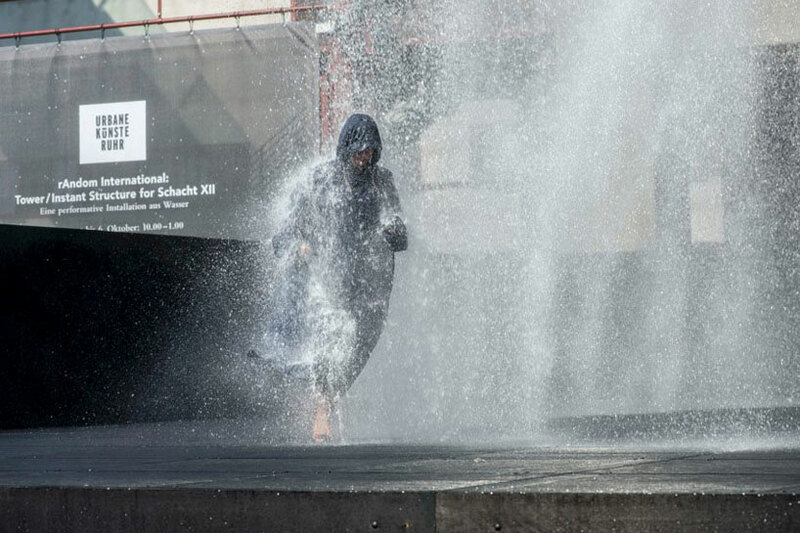 it is the london-based collective’s first outdoor installation. 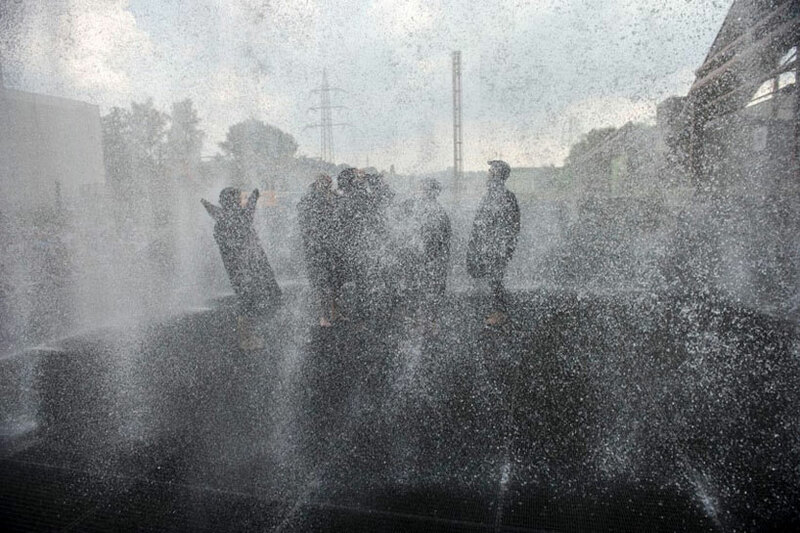 the torrent of water is reminiscent of random international’s previous ‘rain room’ (which you can see on designboom here) which debuted earlier this year. the ephemeral tower appears and disappears instantaneously, the sound of the man made storm intensely loud, leaving a film of moisture in the air. 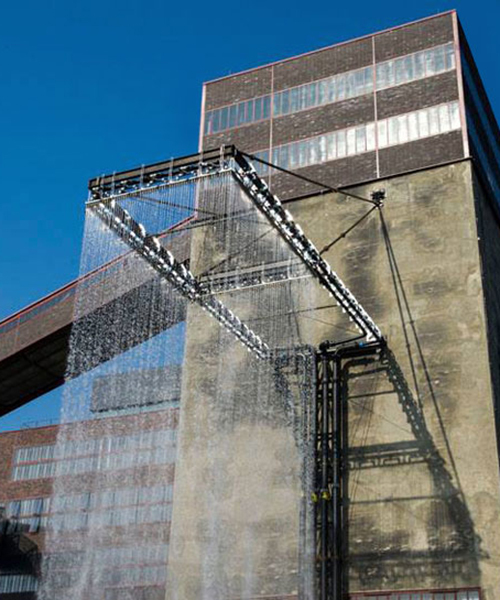 by bringing such large amounts of water into the controlled form of a building, the architecture of the space becomes animated. 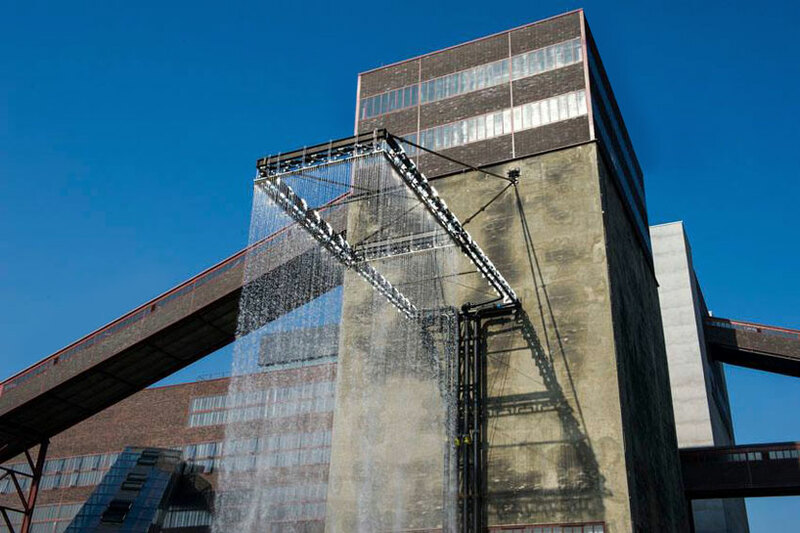 the project explores the possibilities of engagement with, access to, an historic, industrial space at a scale that had not originally be intended for human / social use. 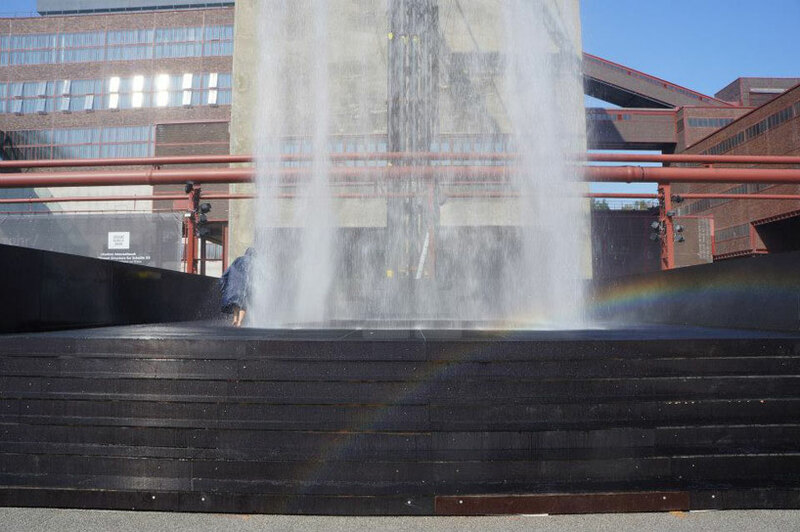 the juxtaposition of the simulated architecture against the solid and static buildings of the former industrial site. 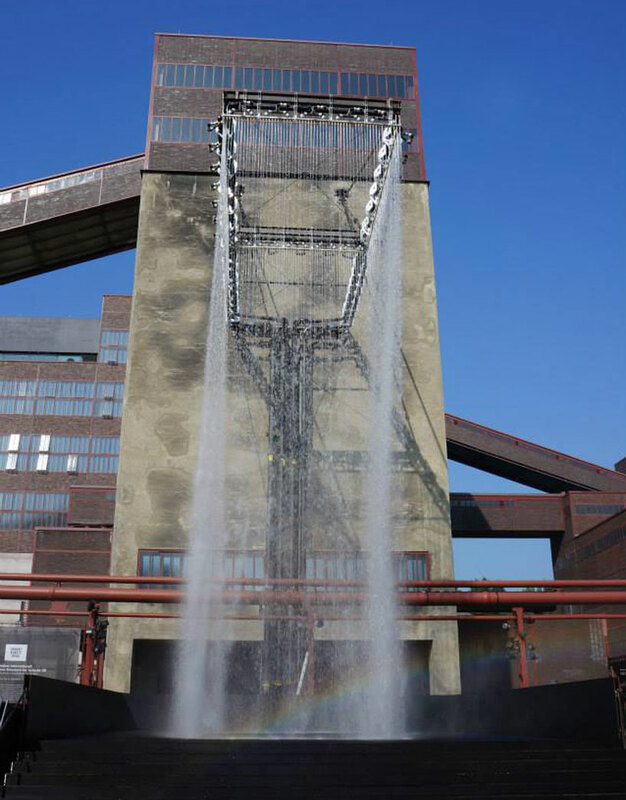 ‘tower: instant structure for schacht XII’ was commissioned by urbane künste ruhr for ruhrtriennale 2013 and is on show daily from 10AM-1M until october 6, 2013.